I tested about image border size like below. As we know, the code is illegal. but border * scale is greater than image width / height. and values are fixed then requested to engine. But, on the software backend engine, some pixel is dislocated. When I debugged coordinates from _evas_image_render() to _draw_image(). And it's 1,4,7's "src_x=, src_w, dst_x, dst_w" are same. Therfore I think it's engine issue. 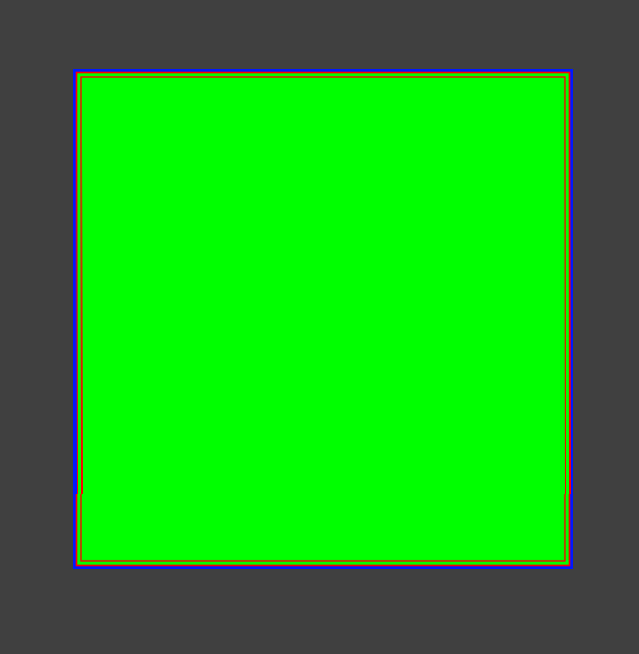 This is _draw_image()'s parameters from 1~9. z-wony added a project: efl.